Mirror Lake. Nature is calling for us. The more we run away from her, the more she Majesty returns to us and she is angry. We belong to the nature, we are her creation and that’s why the more we connect, the better we are. But, modern technology, the rush hour in our minds and lives very often tells us to stay at home in front of the TVs instead of going out and explore what life gives us. More and more we forget to listen to the nature, to listen to the birds, the rivers, walk the mountains. One hour spent out there give you the needed energy for the whole day. And why not put effort about that? Our todays’ personalities are George and Hellen, a lovely couple that adores nature. Since they know each other, there is no weekend of free day not to be used doing something interesting outside, in the middle of a nice landscape. Together with their friends, George and Hellen for the first time are visiting the famous Mirror Lake. They decide they want to look around the environment and to find interesting objects. George and Hellen decide to start an adventure and to go follow the river. They are fans of unusual adventures and that’s why they put themselves in such new challenge. They don’t know where their final destination will be. This is an extremely interesting event for them and they decided to sleep in tents, and therefore they have to find an adequate place for the tents. 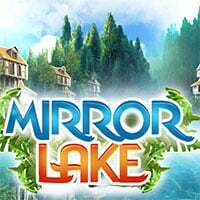 Mirror Lake is a free online hidden object game on Hidden4Fun.